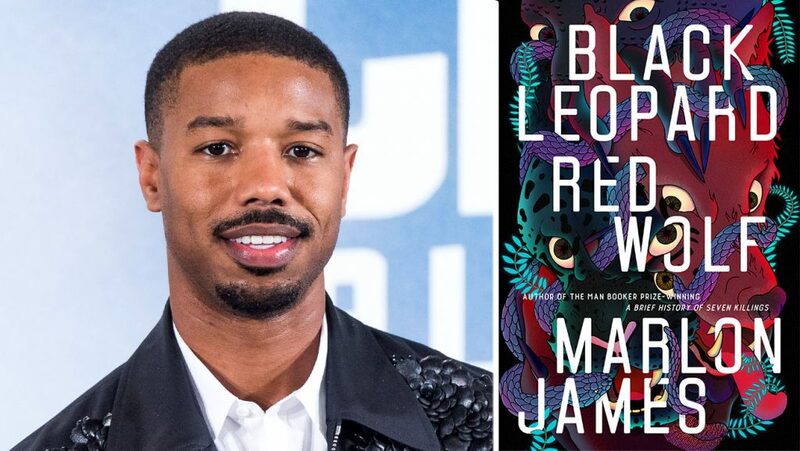 According to Deadline, the film rights to Marlon James’ highly anticipated and just-released book Black Leopard, Red Wolf has been acquired by Michael B. Jordan’s Outlier Society and major entertainment studio Warner Brothers. This is such a big deal but in case you are out of the loop, here’s a refresher: just after winning the 2015 Man Book Prize for his novel A Brief History of Seven Killings, Jamaican author Marlon James somewhat teased that his next book will be an ”African Game of Thrones.” He had said he was joking but blah, we are not toddlers. Based in African mythology, Black Leopard, Red Wolf is an epic fantasy novel that follows Tracker, who has a keen sense of smell. He’s hired to find a missing child against a backdrop of competing kingdoms and violent political upheaval. The story touts a wild cast of characters including a witch, a shape-shifting leopard, a murderous hyena, and conjoined twins. It’s the first book in James’ Trilogy Dark Star Trilogy where African myth, fantasy and history come together. The novel was published by Riverhead Books on February 4, 2019, and has received positive reviews, from Rolling Stone to the New York Times. There’s every reason to be excited about the most popular show on the planet Game of Thrones being rendered in relatable African characters and mythology, and Michael B. Jordan presiding over the project inspires confidence because of his involvement in Black Panther and how the movie had to be authentically African to a degree. Jordan founded Outlier Society with a mandate to encourage an “inclusive lineup of diverse stories and voices.” It was one of the first companies to publicly adopt the inclusion rider, which is designed to increase opportunities for women and people of color in all aspects of film projects. Winter is coming. Scratch that. Jordan and Warner Bros. better find an African substitute for that. [Clears throat]…I was joking. Bernard Dayo writes on film, TV, and culture. You can follow on him on Twitter @BernardDayo. Can Stella Damasus make a great comeback in her new movie ‘Between’?